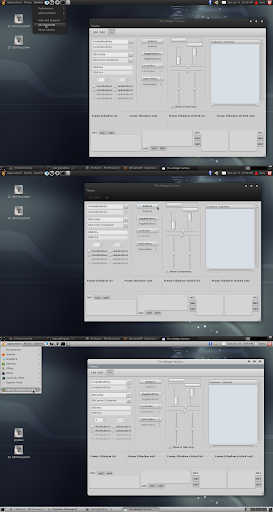 There are a lot of amazing GTK / Metacity / Emerald / Icon themes on Gnome-Look and Deviant Art but to get the latest version you must constantly check the site and manually download and install the new theme so I though it would be nice to set up an Ubuntu repository for the themes that I (and you) like and do not have a PPA. * Fitts Metacity theme: packages in the PPA: fitts-theme, fitts-natural-theme, fitts-natural-adaptive-theme and fitts-theme-all (meta package that installs all the Fitts Metacity themes). 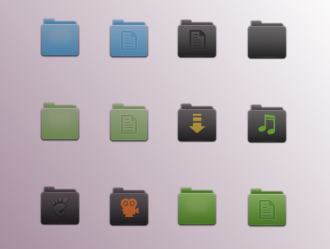 * Faenza Colors - various Faenza-based icon themes that provide a different folder icon color which consists of: Mint-X Faenza Folders (package name in the PPA: faenza-mint-x), Faenza Mint (PPA package name: faenza-mint), Faenza Cupertino (package: faenza-cupertino), Faenza Blue Dark Panels (package: faenza-blue-dark), F-Dark and F-Dark Gnome with all the variations (package names: faenza-f-dark, faenza-f-dark-color and faenza-f-dark-gnome - each with 4 variations). There's also a meta package to install all the "Faenza Colors" themes: "faenza-colors". 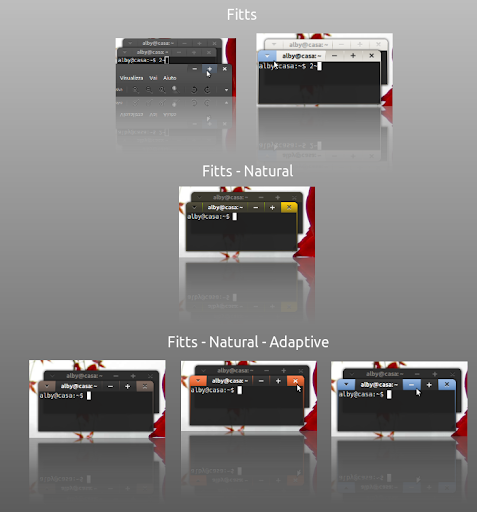 * Wow Themes: the Wow GTK themes (package names: wow-theme, wow-dark-theme, wow-dark-elementary-theme, wow-elementary-theme, wow-light-theme, wow-light-elementary-theme and wow-theme-all to install all the themes) - install one of the WoW Elementary themes (or all) if you use Nautilus Elementary -, and Wow Emerald themes (package name: wow-emerald-decorators). This is just the beginning, the PPA will most probably get a lot more themes (as long as there are cool themes out there that don't have a PPA yet). To install a package from the PPA (after adding the PPA) simply search for its name (see the package names above) in Synaptic or Ubuntu Software Center or alternatively, copy the package name, open a terminal and type: "sudo apt-get install PACKAGE_NAME". Want a theme in the WebUpd8 themes PPA? Let us know in the comments (I can't promise the theme will be uploaded to the PPA, but I'll consider it).